As the UK manufacturing PMI fell to a three-month low of 52.8 in January the Pound Sterling to Euro (GBP/EUR) exchange rate returned to a downtrend once again. While forecasts had pointed towards a slowdown in sector growth on the month the extent of the index’s decline still caught markets off guard. Even though stockpiling efforts continued to ramp up this failed to prevent manufacturing output and new orders continuing to ease. 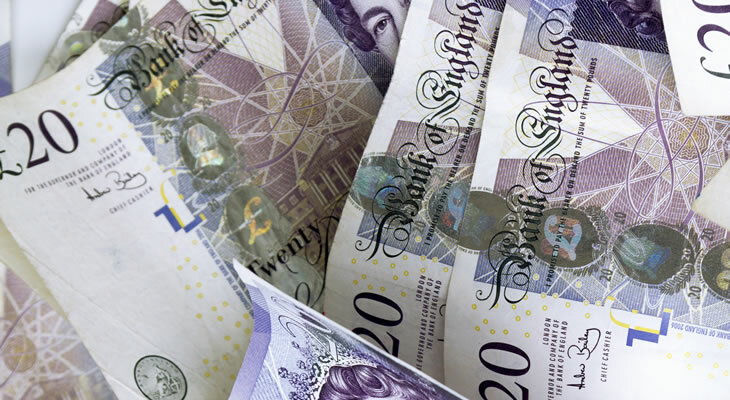 With confidence in the outlook of the UK economy deteriorating in the face of Brexit-based uncertainty demand for Pound Sterling (GBP) diminished further. The Eurozone economy showed fresh signs of weakness, meanwhile, as the Italian manufacturing PMI fell further into a state of contraction. With the Italian economy having fallen into recession for the third time in a decade last year this latest sign of weakness did little to improve the appeal of the Euro (EUR). German data also failed to impress as January’s manufacturing PMI was revised down to 49.7, indicating a modest decline on the month. All in all, this suggests that the Eurozone economy may struggle to regain its economic momentum in the months ahead. With the European Central Bank (ECB) already taking a cautious outlook the chances of a 2019 interest rate hike dwindled further, to the detriment of EUR exchange rates. The GBP/EUR exchange rate could come under greater pressure next week if January’s UK construction and services PMIs also fall short of forecast. Particular focus will fall on the performance of the service sector, which remains the primary growth engine of the UK economy. If the services PMI moves closer to a state of contraction the mood towards the Pound is likely to sour significantly. Signs that worries over the risk of a no-deal Brexit are continuing to stifle economic activity would give investors fresh incentive to sell out of the Pound on Tuesday. An underwhelming set of PMIs would not bode well for the first quarter UK gross domestic product, setting the economy on a weaker footing ahead of the March Brexit deadline. Unless the service sector demonstrates an ability to shake off Brexit jitters the GBP/EUR exchange rate looks set to shed further ground next week.